To make a movie, you'll first need to take the media clips that you added to the Library and arrange them on your timeline. Once they're on the timeline, you can cut, split, trim and modify your clips so that they are the perfect length before connecting them together with transitions. Place a video clip on the project timeline. Next, determine where you would like to cut or split the video. Using the video preview window as a point of reference, you can either watch your clip Play in real-time, or you can grab the sliding cursor with your mouse and move it along the top of your timeline. 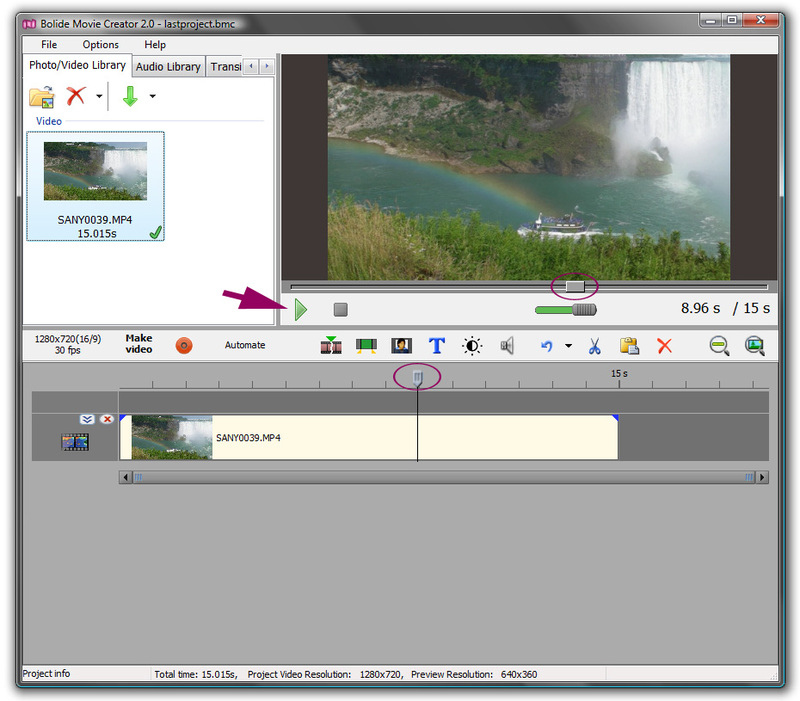 Once your cursor is set to where you'd like to trim the video, click on the Split icon in the toolbar above the timeline. You can also right-click the clip on the timeline and select Split the fragment at the current position from the menu. Delete the unnecessary or "trimmed" part by right-clicking it and then selecting Delete from the menu (you can also perform this action by using the keyboard Delete key or by clicking the red X icon located on the toolbar).